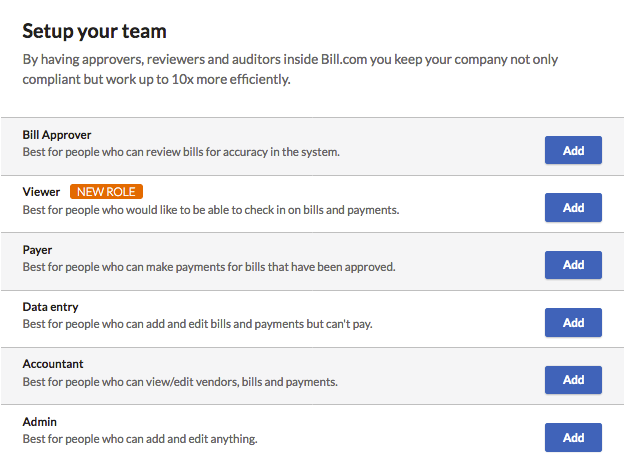 Users with permission to Manage Users can enable other people to access the Bill.com account by adding them as users. Each team member can also customize their own email preferences once they are able to log in. The new team member will receive an email with instructions to activate their profile and create a password. Each team member can also customize their own email preferences once they are able to log in.